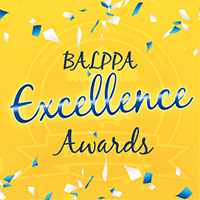 On Monday 26th November BALPPA held its Leisure, FEC and Indoor Play Trade Exhibition and BALPPA Excellence Awards at Drayton Manor Park. The trade exhibition saw more exhibitors than previous years and the purpose of the event was to assist existing leisure operators or those looking to enter the market, to connect with key suppliers and experts already operating within the industry, as well as providing networking and educational opportunities via a seminar programme. BALPPA was pleased that so many businesses chose to exhibit at the event and that many reported a successful show during which they were able to showcase their products and services to this constantly evolving sector. The feedback from the many visitors in attendance was also extremely positive and the association hopes that in the weeks and months to come that it has helped to cement some strong relationships between suppliers and operators. BALPPA would like to thank all those who supported the event by exhibiting and visiting as well as the speakers and the team at Drayton Manor Park. More than 200 people attended the 2018 FEC Excellence Awards at Drayton Manor and it was a great celebration of all that is special about the Leisure & Play Industry in the UK.